Cybernetics is the study of communication and control processes in living organisms and machines. Cybernetics analyzes the ability of humans, animals, and some machines to respond to or make adjustments based upon input from the environment. This process of response or adjustment is called feedback or automatic control. Feedback helps people and machines control their actions by telling them whether they are proceeding in the right direction. For example, a household thermostat uses feedback when it turns a furnace on or off based on its measurements of temperature. A human being, on the other hand, is such a complex system that the simplest action involves complicated feedback loops. A hand picking up a glass of milk is guided continually by the brain that receives feedback from the eyes and hand. The brain decides in an instant where to grasp the glass and where to raise it in order to avoid collisions and prevent spillage. The earliest known feedback control mechanism, the centrifugal governor, was developed by the Scottish inventor James Watt in 1788. Watt's steam engine governor kept the engine running at a constant rate. The principles for feedback control were first clearly defined by American mathematician Norbert Wiener (1894–1964). With his colleague Julian Bigelow, Wiener worked for the U.S. government during World War II (1939–45), developing radar and missile guidance systems using automatic information processing and machine controls. After the war, Wiener continued to work in machine and human feedback research. In 1950, he published The Human Use of Human Beings: Cybernetics and Society . In this work, Wiener cautioned that an increased reliance on machines might start a decline in human intellectual capabilities. Wiener also coined the word "cybernetics," which comes from the Greek word kybernetes , meaning "steersman." Artificial intelligence (AI): The science that attempts to imitate human intelligence with computers. 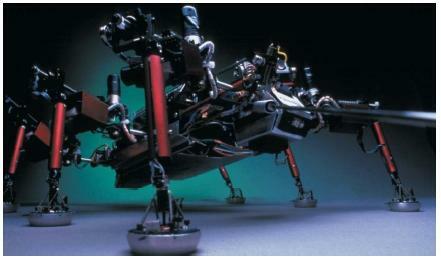 Robotics: The science that deals with the design and construction of robots. With the advent of the digital computer, cybernetic principles such as those described by Wiener were applied to increasingly complex tasks. The result was machines with the practical ability to carry out meaningful work. In 1946, Delmar S. Harder devised one of the earliest such systems to automate the manufacture of car engines at the Ford Motor Company. The system involved an element of thinking: the machines regulated themselves, without human supervision, to produce the desired results. Harder's assembly-line automation produced one car engine every 14 minutes, compared with the 21 hours if had previously taken human workers. By the 1960s and 1970s, the field of cybernetics, robotics, and artificial intelligence began to skyrocket. A large number of industrial and manufacturing plants devised and installed cybernetic systems such as robots in the workplace. In 1980, there were roughly 5,000 industrial robots in the United States. By the early twenty-first century, researchers estimated there were as many as 500,000.
learn from past experience and recognize patterns. This will enable them to operate intuitively, at a faster rate, and in a predictable manner.